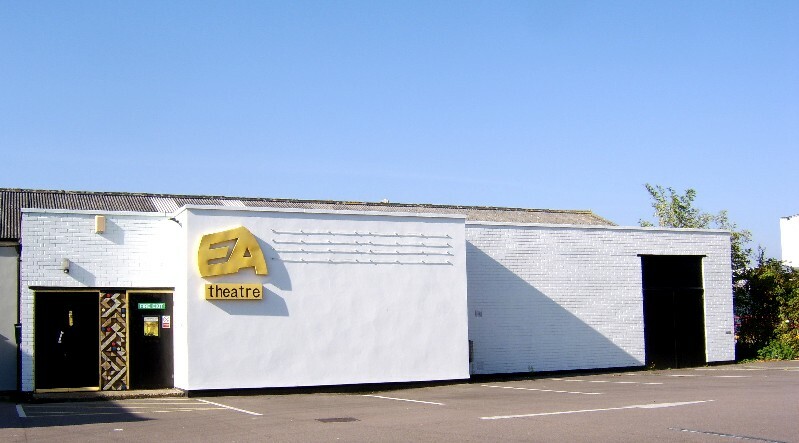 The Edward Alderton Theatre is an amateur theatre venue in Bexleyheath, behind the Brampton Road Adult Education Centre next to Crook Log Leisure Centre. 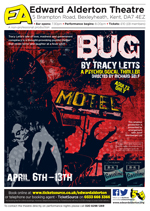 It was publicly licensed, built and financed in its entirety by drama students during the mid 1970s. 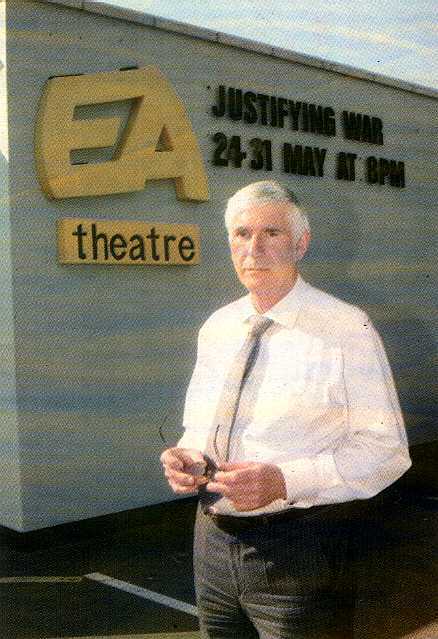 The Theatre first opened its doors to the public on the 17 May 1976 with a production of Oh What a Lovely War, directed by Derek Goulding, the drama tutor who was to become the theatre's first artistic director. 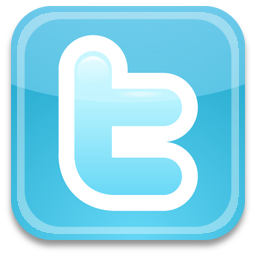 The company, however, dates back a goodly number of years. 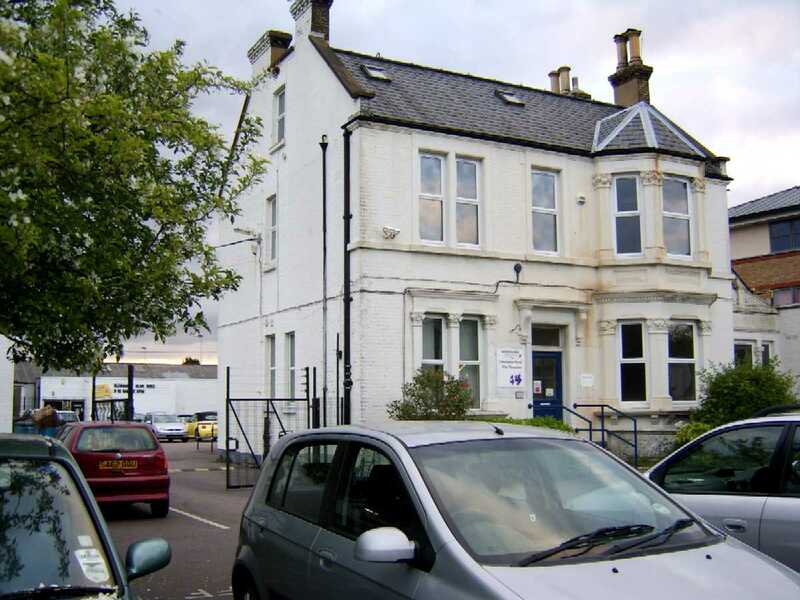 Formed in 1951, it was part of the new Adult Education Centre in Brampton Road, Bexleyheath that had come into being a year earlier. 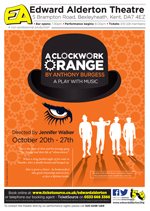 In 1956, the group adopted the title The Brampton Players and began to make its mark among the other local drama groups winning one competition with an Orwellian style play entitled Nothing Will Come of Nothing, improvised and written by the group. During this period they also produced a play Acts of Farce, written by a member of the company with music composed especially for the play. In addition to these original productions, the group performed two or three plays per season, trying always to improve the standard of production and thereby attracting a number of talented players to its ranks. The group continued to flourish, but always working within the confines of a small stage and school hall environment. In keeping with the group's early experimental nature, the theatre staged an original play written by one of the company, Brian Warner - Bossenden portrays the peasant uprising near the village of Dunkirk in Kent in the year 1838 which was suppressed by the militia from Canterbury. The Alderton was the first non-professional company to stage Neville's Island by Tim Firth. Channel 4 filmed the theatre's production of Jeffrey Bernard is Unwell by Keith Waterhouse, which they transmitted in 1996. On the competitive front, we have received our share of awards over the years, including those for individual acting, best production and technical achievement. The theatre has, since its opening, gone from strength to strength and, given your continued support, will hopefully continue so to do. A permanent theatre in Bexleyheath should exist by the end of the year . Subject to planning permission, which is expected to be granted later this month, it will be behind the Adult Education Centre, Brampton Road, in the garages which once were a part of the old fire station. The theatre will be called the Edward Alderton Theatre, after Mr Edward Alderton, who was warden of the centre from 1950 and is a well-known local personality. 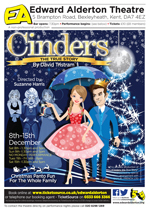 It will be used primarily by the drama group attached to the centre, although productions will also be put on by other invited clubs: operatic and choral societies. With only 77 seats, arrangements may at first sight seem inadequate, although Club Director Mr Derek Goulding emphasises the design has been deliberate. He points out that the theatre would be used mainly for training and educational purposes and the maximum stage space would be needed. It is also felt that a large auditorium would not create the atmosphere fundamental to modern theatre. The theatre will be designed to increase contact between actors and audience, and there will be no proscenium arch. Dressing rooms will have showers, and the small foyer could be used as a permanent display area for painting, sculpture and pottery groups. 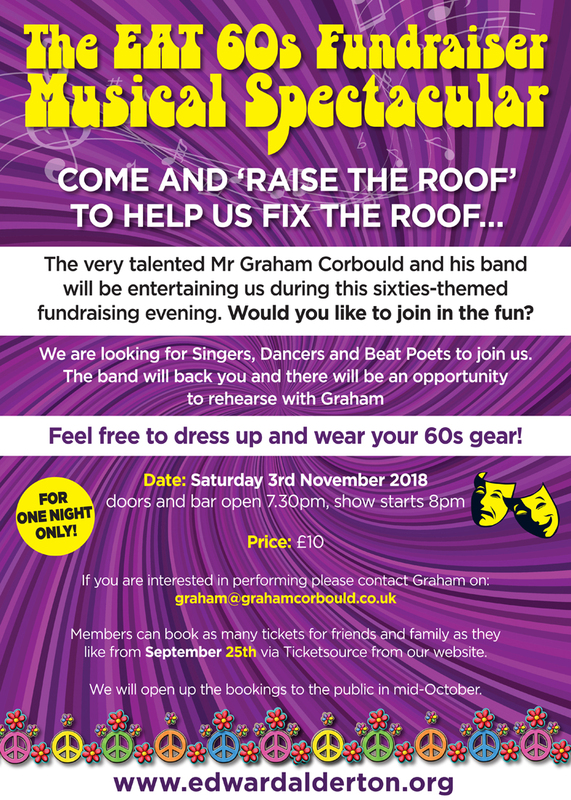 Although not included in Mr Edward Alderton's original plans it is hoped a garage attached to the south of the building will eventually be converted into rehearsal rooms. Perhaps the most impressive feature of the project is that all the work will be done voluntarily by members of the drama club. Since there are only 30 people  20 of them women  the task is not easy. But sufficient professional skill exists in the club to undertake work confidently. Among the membership is a chartered surveyor, a carpenter, a builder and an electrician. It is hoped other groups attached to the centre, especially the creative workshop, will lend a hand so that work can be completed by the autumn. Money for the project is being raised by various means. A sponsored walk this Sunday from the Kings Head, Bexley Village, is expected to raise £200. Jumble sales and a buffet dance are also included in fund-raising plans. Money will also be raised by the sale of bricks to the public. These will be engraved with the buyer's name and included in the construction so that the names will be visible. Local businesses will be asked to contribute money to buy seats. A total of £3,000 will be needed for the conversion and although the Council will be approached for a grant, money will obviously be hard to come by. Mr Alderton, who is impressed by the energy which has gone into the project so far, is perhaps best known for his work during World War II as education officer for prison camp Stalag Luft Three, the famous 'Barbed Wire University'. During 1944, as a prisoner, Sergeant Alderton was asked for speech training by two Londoners. At that stage, the camp's only book was a faded copy of Sesame and Lilies, but from this humble beginning grew a scheme so engulfing that by the spring of 1945, lectures were being held at the rate of 150 a week, with examinations taking place every day in 84 subjects. Since the war. Mr Alderton has been no less active, serving for a time in Poland for the United Nations and, later, building up the Brampton Lane Education Centre and serving as a Justice of the Peace. Mr Goulding said: "We felt after all the effort that he's put in far the adult education centre, and everything else, it was the least we could do to name the building after him." 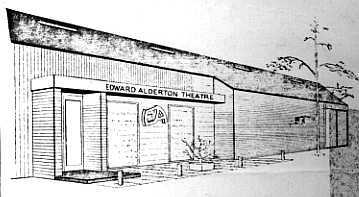 By the summer [of 1975], against all the odds, Bexleyheath should have its own theatre, the Edward Alderton, in Brampton Road. When spending cutbacks forced Bexley Council to abandon plans to finance the scheme, the actors, inspired by Edward Alderton, warden of the Brampton Road Adult Education Centre, decided to build their own 80-seat theatre. Financial problems and modifications to the original plans prevented the group from meeting their target of a Christmas completion date, and more money is still needed. Appeals to local traders and the actors' own efforts have brought the theatre to three-quarters completion; another fund-raising production took place last Saturday. But when it is finished, the Edward Alderton will have all the amenities of a West End theatre, with wall-to-wall carpeting, plush seating, a professional lighting box and showers and well-appointed dressing rooms for the actors. The Alderton will also provide the missing link in the borough's existing theatres, because after its first play the group hope there will be a free interchange of actors between the Alderton, the Geoffrey Whitworth at Crayford and the Erith Theatre Guild. In this way, local people will have little need to travel to London for entertainment, because there will be a continuous series of high standard plays in Bexley Borough. In the meantime, thoughts for the future are shelved while the grafting goes on. The group are still selling bricks, signed by the buyer, at £1, and seats at £25. They can be contacted through the Adult Education Centre at Brampton Road. Nearly 200 people crammed into the unfinished Edward Alderton Theatre at Bexleyheath for the first live performance, last Saturday night. Newly built walls quaked during the rousing five hour folk, classical and rock concert, arranged by the volunteer builders to raise money for the project. 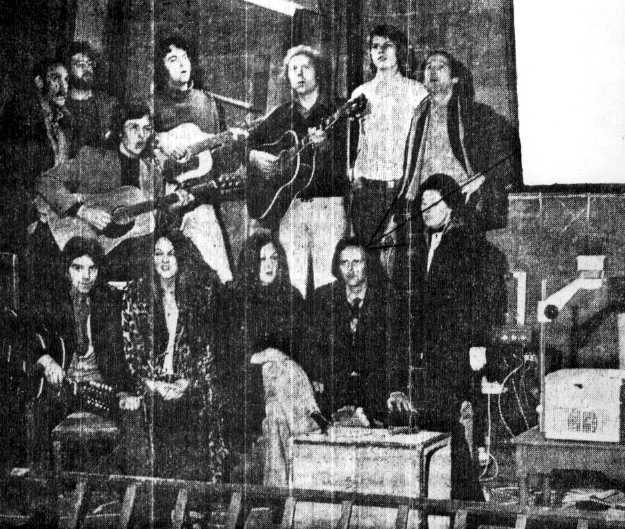 Singing was launched by members of the theatre building group. Its director Derek Goulding, and architect Neil Flux, and colleagues Peter and Graham successfully warmed up the audience for the first guest of the evening - semi-professional Patti Brown. After a solid performance of well-known folk music and tumultuous applause, Patti gave way to Martin Goodhind, a music student, who played an excellent selection of classical guitar music. Local folk singer Peter Quirk warmed the audience with his touches of humour, and later in the evening sang traditional Irish folk songs such as Black Velvet Band and Wella Waila, whose morbid words produced waves of laughter. Riotous successes of the first half of the concert were Tim Harris' mob, whose obvious humour and lengthy chats before launching into well-played solos amused all. Unfortunately, in their appearance towards the end of the concert there was too much chat and not enough music. Husband-and-wife team Beverley and Colin attempted some Bob Dylan songs. Even professional singers have problems with these - amateurs are advised not to try in public. In the second half, William Bulch and Jane Gilbey played a duet on classical guitars, which for professionalism and interpretation surpassed most of the other performers. Neil, Elspeth and Derek Goulding sang an English madrigal. Chastity Belt required costume changes from Derek, whose antics in a pageboy outfit (with hairy legs) proved that farce will go down well when the theatre opens. David Hampton's version of Frankie and Johnnie would have been excellent unaccompanied. As it was Bill Ayling had trouble with his banjo accompaniment - it was flat throughout. Despite one or two catastrophes it was a good evening, and the group managed to raise £60 towards the completion of the theatre. 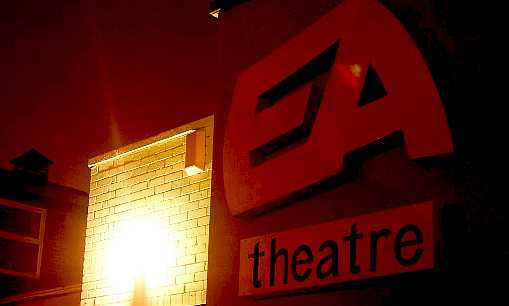 It's "Happy Birthday" to a local theatre which emerged from the ruins of an old fire station. The members of the Alderton Theatre, Brampton Road, Bexleyheath, built it themselves over two years and the building is now celebrating its tenth anniversary. The theatre company was originally formed in the 1940s and was part of Bexley's Adult Education department, but it never had its own home. When the fire station came up, Bexley council gave the go-ahead. Mr Neil Flux, a keen theatre company member, also happened to be a chartered surveyor and took on the task of designing the new theatre. "It was just an old, corrugated iron shed when we started. But most of the members turned up in the evenings and at weekends, so we did almost all the work ourselves", he said. As if doing the work wasn't enough, there was also the small question of money. £12,000 was needed to pay for materials. The council lent a bit, more was raised by sponsored walks, and the rest by selling seats and bricks in the theatre! "We only just managed it", says Mr Flux. 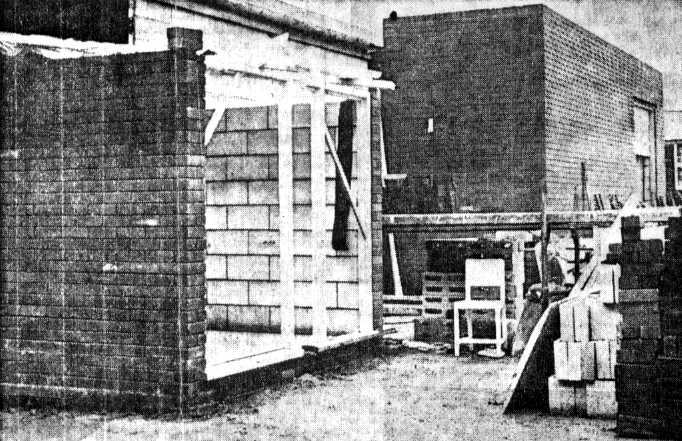 Eventually, in 1976, the new Alderton Theatre was ready. It was named after Mr Edward Alderton, the then Head of Bexley's Adult Education department. "We thought it would keep them on our side," says Mr Flux. Oh What a Lovely War was the opening production, and required virtually all-hands-on-stage with a cast of forty. 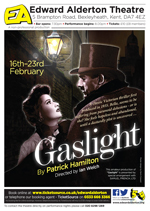 Since then the Alderton has staged six productions every year. Mr Paul Jennings, the present director, says they have always tried to avoid being stereotyped, and adds: "We hope to continue in the same vein  keeping the productions as balanced and varied as possible." There are currently some 70 members who all chip in with everything from building stage sets to acting and selling tickets. 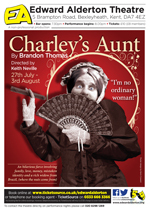 Unusually for amateur theatre most of the members are aged between 20 and 30, which, Mr Jennings says, "sometimes creates problems when it comes to casting." The Alderton Theatre is practically self-sufficient. Although the council covers a few overheads, all other costs are covered by the box office and bar takings. A theatre chairman is furious at plans for a skatepark being given the go-ahead before he was consulted. Bexley council approved an application for Danson Youth Centre, in Brampton Road, Bexleyheath, to build a skatepark in December 2006. But it was eight months later when members of neighbouring Edward Alderton Theatre, in Brampton Road, found out about the plans. According to council regulations, properties bordering the proposed site should be approached by the council for consultation. Theatre chairman Ian Saxton said he would have objected to the proposals straight away because the noise from the park would be heard inside the theatre. He said: "Apparently the council sent us a letter on October 11 2006, but sadly the letter never arrived. We would have vehemently objected for blindingly obvious reasons. Straight after we knew, we made noises. At that point, there was nothing we could do about it but try to have some conditions." The council refused pleas from Mr Saxton to erect a sound barrier but said it will close the park half an hour before productions at the theatre. Mr Saxton said: "I don't think it will work very well. Obviously, there will be weeks of preparation for each play, which will be a pain with the noise the skate park will make. The council told us they were surprised we didn't make any objections at the beginning. Nobody wants to admit it but they made a mistake." Now, the council is choosing a contractor after putting the job out for tender. A spokesperson for Bexley council said: "A more effective way of minimizing any noise impact is achievable by introducing a management programme rather than relying on a physical noise barrier. The youth centre's desire to act as a good neighbour has been paramount from the inception of the project and in accordance with the planning permission the centre is devising a management programme that will regulate the use of the skate park. In addition, the skate park will not operate on a Sunday." All photographs are (c) their respective photographers and are not to be used without permission. Newspaper reviews are reproduced by kind permission of the reviewers.